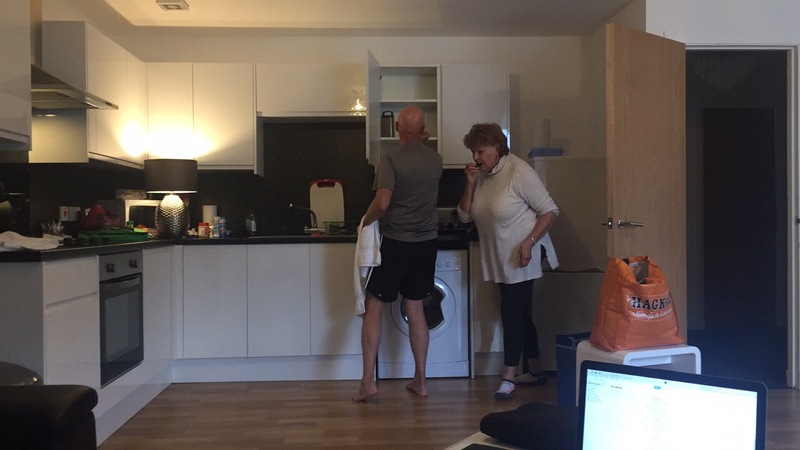 We stayed in Aberdeen last night and after a bit of a struggle with directions, parking, and lugging bags up four flights of stairs, checked into our penthouse Airbnb apartment. It was ultramodern and very nice. 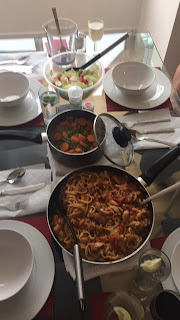 Frustration is always followed by a pasta night and we feasted well. Aberdeen is a huge port city and we were only a few blocks from the harbor. Before touring the museum we wandered around viewing some of the huge and unique cargo haulers and the ferry to Shetland. The Maritime Museum was a gift. Free entry and really well laid out. It is housed inside of an old church with the original painted celings. In the nave they installed three levels using steel infrastructure. We spend a few hours there enjoying the displays and of course, having a coffee and some cake. We then wandered through the streets of Aberbeen in route to the coast. The views from the back seat and through the glass roof were stunning as we enjoyed an amazingly bright and sunny day. We drove the coast for several hours, stopped at a wayside trailhead to an ancient ruin and enjoyed a picnic lunch. We arrived at the easternmost point of Scotland facing the North Sea and the Scottish Lighthouse Museum. The display of optical glass and memorabilia was awesome as well as the lighthouse itself. From there we wandered the coastline to the down of MacDuff for a visit to an historical mansion set in the original grounds and now a wonderful children's playground. The Duff mansion is full restored and is addition to the architecture and furnishinds houses an impressive art collection from the national galleries. There was even a Raphael. We were still early in the day.. believe it or not...and so a stop at a REAL local, REAL LOCAL pub seemed in order. We enjoyed a few ales and chatted with the local tribe. Quite entertaining. Our final destination was a quaint hsitoric 1919 flat in the town of Elgin.